Although the Missouri State Poetry Society was officially organized November 1, 1998, a parent organization called Missouri Poets & Friends had been organized June 16, 1988, and affiliated with the National Federation of State Poetry Societies by 1989. The group was formed by Derlyne Gibson, an academic advisor at Southwest Missouri State University in Springfield, and a few of her friends. She served as first president of the society, which met in homes of members, but by November of 1988 had moved to the Christ Episcopal Church Annex Building for a few months, then to a bookstore (New Age Books & Gifts) for a few meetings, finally settling for its location in the Brentwood Library, a branch of the Springfield-Greene County Public Library, where they continue to meet. From its beginning, the group encouraged members to compose poems but also to bring non-poet friends to meetings where original poems were read along with those by other contemporary poets and favorite poets from the past. Attendance at public poetry readings was encouraged, and the group sponsored its first public reading in July of 1988, when Michael Burns read from his work at Brentwood Library. By October of that year the organization had thirteen members and was publishing a newsletter. Their first anthology appeared in February of 1989, by which time Sharon Letson, bookstore owner, was president of the group. Earl Kessler succeeded her as president in 1990 and served more than one term. By May of 1990 there were nineteen members in Missouri Poets & Friends, and by June of 1992 there were twenty-nine. In the next few years, among the presidents were James C. Stone and Wilbur "Bill" Kiene. Stone was president for several terms. During his tenure, the newsletter became the MuseLetter. He also led the group in conducting contests, publishing yearly anthologies, encouraging attendance at the NFSPS meetings, and accepting into the organization an auxiliary chapter in Bolivar, Second Tuesday. Because of his willingness to serve in nearly every capacity, members left most of the work to him, and when his life was cut short by a violent accident, members were faced with the prospect of terminating the group. At this point, officers under Kiene's leadership took a renewed interest in Missouri Poets & Friends and succeeded in making the group stronger than ever. All of the emphases of the Stone years continued, including the contests, newsletter, yearly anthology, and attendance at NFSPS, but of special interest was the increase in monthly attendance at meetings and participation in group activities. Attendance which had dwindled to ten or fewer now picked up to average about twenty at each meeting, and new members brought the number on the roll into the upper twenties. Several poetry readings were conducted within the community, and another auxiliary chapter, Rhyme & Reason of St. Peters, was added. Officers started conducting monthly board meetings, and the secretary, Wanda Sue Parrott, in an intensive study of the society's records, particularly its Constitution, discovered that the group was not actually doing what they had earlier intended to do. After several discussions board members proposed organization of a state society that would be more than a local chapter with a few auxiliaries. Missouri Poets & Friends in a regular business meeting voted to revise their Constitution and approve a new Articles of Organization that would establish the Missouri State Poetry Society. The new state society was chartered as a non-profit corporation with the Secretary of State of Missouri on November 1 of 1998. Under the new state organization Poets & Friends of the Springfield area became the first local chapter of Missouri State Poetry Society, with Bolivar's Second Tuesday and St. Peters's Rhyme & Reason becoming the second and third local chapters. There were forty-eight members in the new state society when it was founded. The group determined that any members joining in 1998 or 1999 would be named charter members. In November of 1998, Cabool Poetry Society joined as the fourth local chapter, and in December, two more chapters joined: Eminence's Out of the Ozarks Poets' Guild and Perryville's Perry County Writers' Guild. Also, several poets from other areas of Missouri and from other states joined the society as members-at-large. By the end of December, there were ninety-six members in the state society. Four more local chapters were added in 1999 and early 2000: the Mountain View Poetry Society, the Lebanon Poets' Society, and a second Bolivar chapter--a student group from Southwest Baptist University called the Speederase Scriptomaniac Poetry Society and later renamed Author Unknown--and the Roger T. Sermon Center Poetry Society in Independence. In late 2000 the Perryville chapter disbanded, but in April of 2001 there were again ten local chapters when the Blue Springs Poetry Society was organized. In 2002 the Blue Springs group changed its name to Word Shop, and two new chapters were added: an online group called Thirty-Seven Cents and a senior-oriented group called Meeting the Muse. In May of 2003 the Raytown Bards became the next local chapter in the state society. In September of 2004 On the Edge of De Soto joined MSPS. Also in September Sermon Center and Word Shop of Independence combined to become Write Place. In February of 2005 KC Metropolitan Verse became our thirteenth chapter, but four chapters dropped out in the ensuing years: the Eminence chapter, the Raytown chapter, the St. Peters chapter, and the Meeting the Muse chapter. 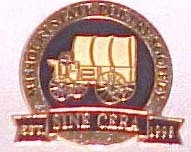 As of May 1, 2012, the total membership of the state society was 106, including 8 local chapters: Poets and Friends (Springfield), Second Tuesday (Bolivar), Author Unknown (Bolivar), Lebanon Poets' Society (Lebanon), Write Place (Independence), On the Edge (DeSoto), and new chapters KC Metro (Kansas City), Crawford County Bombadils (Cuba). There were also15 members-at-large. In November of 2012 another chapter in the Kansas City area was formed, The River Bend Gang, with six members. In addition to the activities of the local chapters, there are four state society activities: a winter contest, a spring anthology, a summer contest, and a fall convention. The contests (open to all poets) have until recently attracted over 500 entries each. The latest anthology, Grist 2011, featured the works of 75 poets. The most recent state convention was held in Lebanon and attracted 40 poets and friends. An honorary life-time memberships was conferred on Don DePriest of the Poets and Friends chapter in Springfield. The featured program included Thom Satterlee and Carla Kirchner. Convention speakers in the past included Scott Cairns, David Clewell, Harvey Hix, Andrew Hudgins, X. J. Kennedy, Ted Kooser, Thomas Lux, and Paul Willis. The Missouri State Poetry Society's newsletter, Spare Mule, appears quarterly online, and the web site for the society is mostatepoetry.com. Officers of the state organization for 2012-2013 are President Dawn Harmon, Secretary Marsha Becco, Treasurer Bill Lower, Youth Work Director Judy Young, Spare Mule editor Don DePriest, Grist editor Dawn Harmon, and Webmaster Tom Padgett.